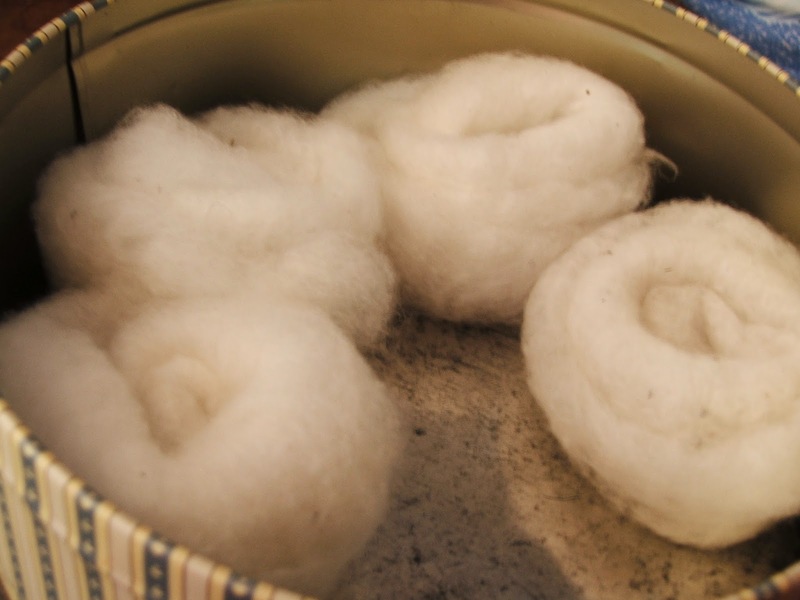 Spinning and plying cotton – part one. Spinning cotton is hard but not impossible. Most of the reading I have done leads me to believe you need cotton carders, a takhli or Charkha spindle and immeasurable patience. Having none of these things I just used what I had and did it anyway. 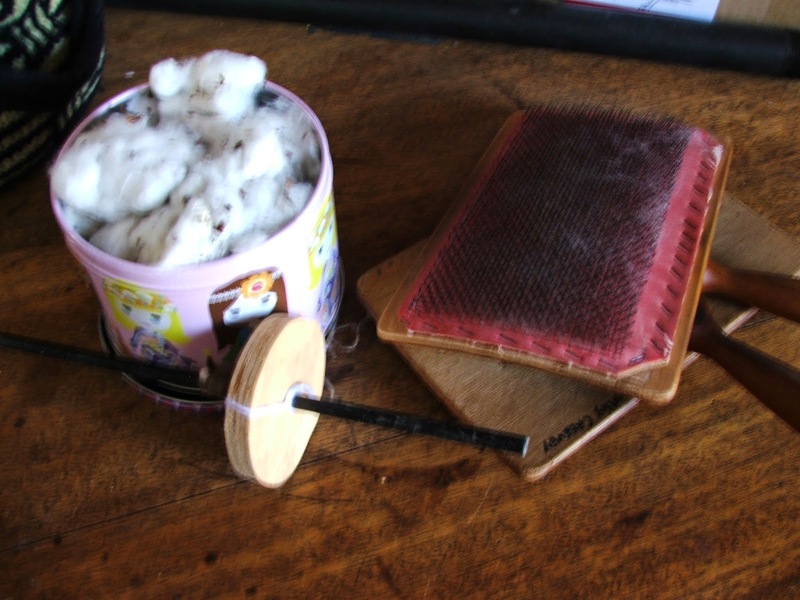 I spin my cotton without all the traditional equipment; no cotton carders; no supported spindle or Charkha. I use my wool carders to prepare the fibre and spin it on my old faithful traditional spinning wheel. The first part of the journey is to prepare the cotton. 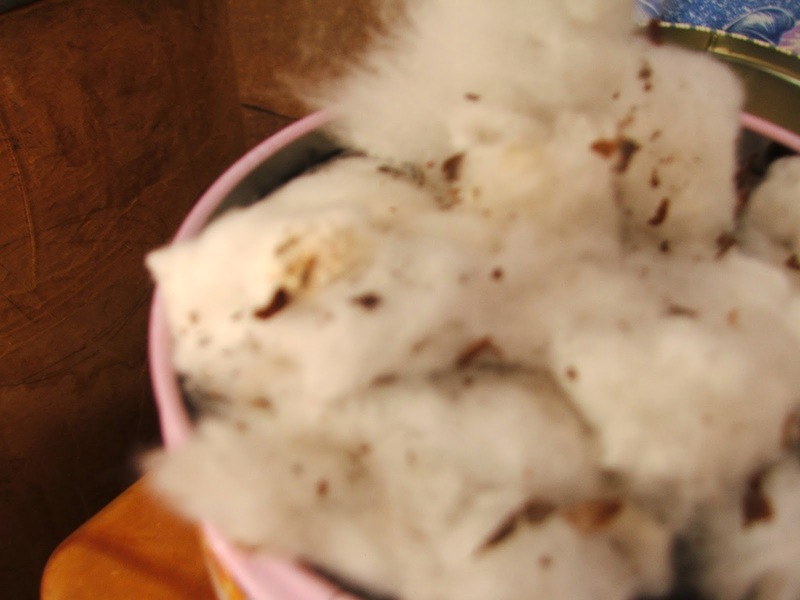 I am lucky enough to have a sister who grows cotton so she occasionally brings me a garbage bag of bolls (the ‘fruit’ of the plant; a lot of seeds with a cotton ball attached). These bolls need to have the vegetable matter and the seeds removed before being carded into submission ready for spinning. Removing the seeds and the vegetable matter is not a process that can be rushed; I sit and pick the seeds out of each boll individually along with any large bits of vegetation. It takes about two full bolls to ‘charge’ the cards (charging the cards is a fun way of saying ‘put enough on one carder to make a rolag’). 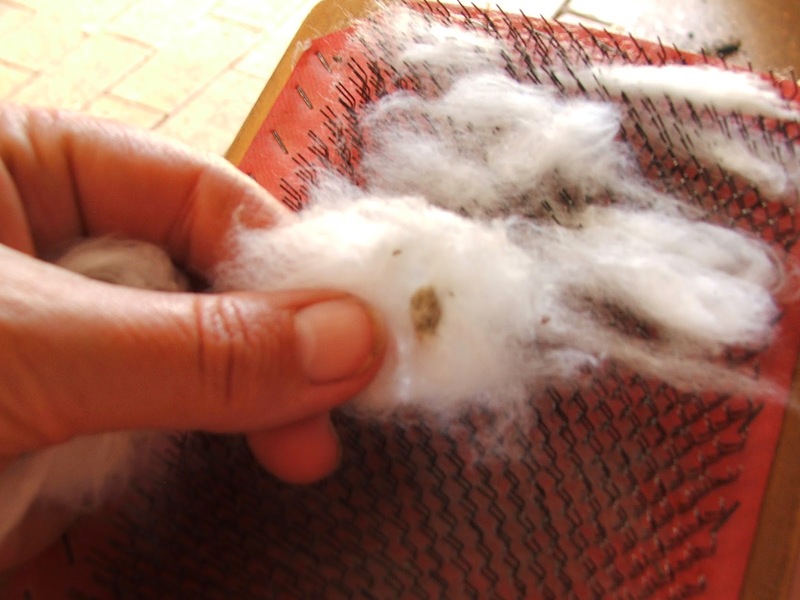 The cotton is then carded or combed from one carder to the next until all the vegetable matter has fallen away (some has to be picked off) and the fibre is smooth. 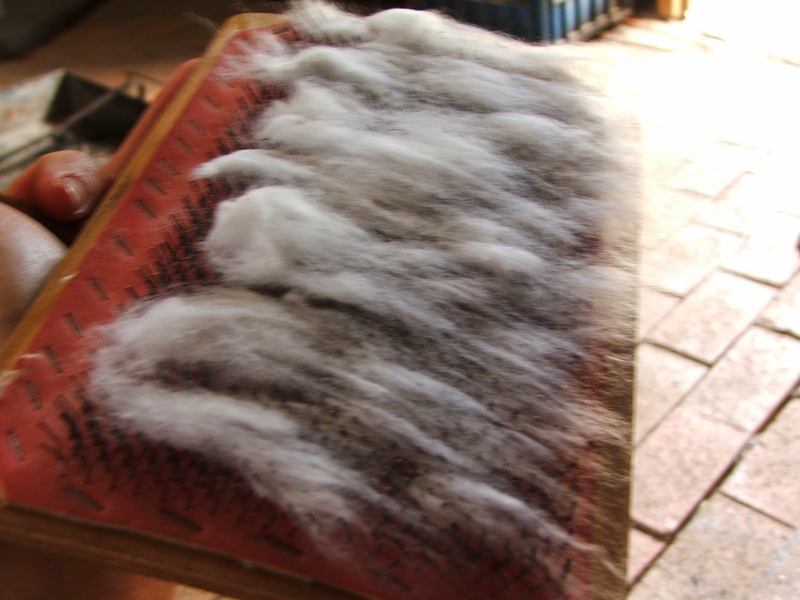 The usual method is to make punis from the carder cotton by wrapping the little mat of fibre around a stick really tightly to make firm rolag of fibre. I prefer to make mine into nests of soft and fairly airy rolags (a rolag is the mat of carded fibre from the carders rolled up into a cylinder). I don’t make traditional punis, I just make the usual nest, the same as wool. It takes 26 nests to fill a bobbin on my spinning wheel, so the preparation takes a long time. The next step is spinning the cotton, which has its difficulties too.